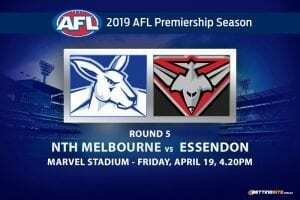 Melbourne Demons: $7.50 – is Melbourne a good premiership bet? 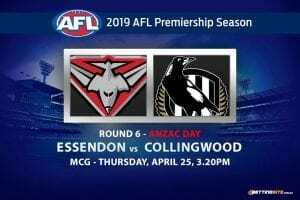 Two fast-paced, young and exciting teams will battle it out on the MCG when Melbourne plays host to Port Adelaide in a big AFL Saturday afternoon clash. Ken Hinkley, Coach of Port Adelaide, has announced that he will debut four youngsters, three of which are from the 2018 draft crop. Picks 5, 12 and 18 — Connor Rozee, Zak Butters and Xavier Duursma — are all classy young men that will get their chance to shine earlier than some expected. Simon Goodwin recently signed an extension on his coaching contract, tying him to the Dees for another three seasons. The newest rule-changes in the AFL will benefit both sides in different ways. 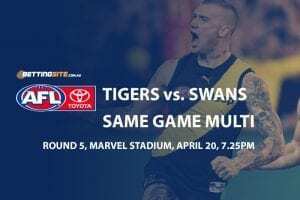 Melbourne will look to dominate the centre bounces and use their advantage in the ruck to score quickly with the new ‘6-6-6’ rule. 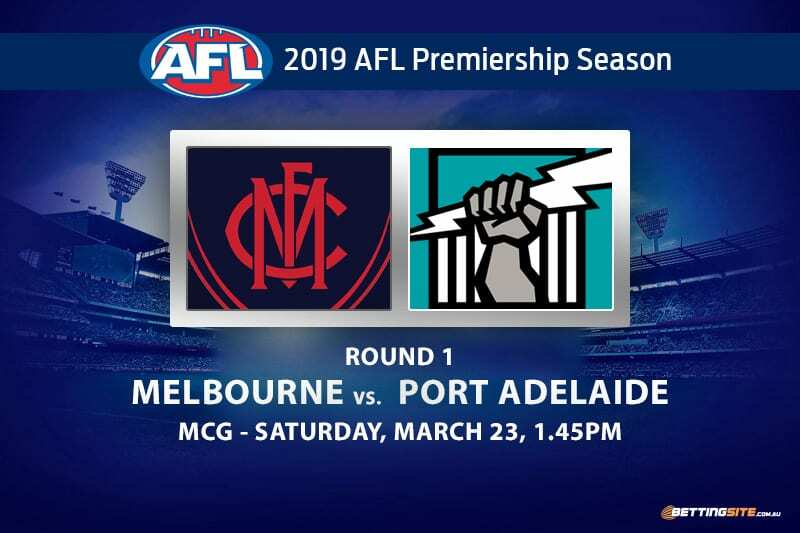 Port will attempt to use excellent ball use out of their backline to capitalise on behinds from Melbourne with the new kick-in rule. A few injuries and suspensions will keep the Demons honest against the Power. Steven May managed to pick up a suspension in the second JLT practice match after making high contact to a Brisbane player. Jake Lever will still remain side-lined with his ACL. It will be a quick game, giving us the inclination for the following tips and predictions. Alex Neal-Bullen to get 20 Disposals @ $2.75 – am I able to get a bookie bonus bet? 2019 is a make or break season for the 23-year old, who looks primed to take the next step. He surpassed the 20-disposal mark eight times last year while playing forward in a majority of his matches. Melbourne will hope for more consistency from their talented player and his JLT form suggests he provides value here. Since passing the captaincy to Tom Jonas and Ollie Wines, Travis Boak has had the weight and pressure lifted off his shoulders. We think Boak will be able to play his best footy, which he showed briefly in the JLT. Boak looks fitter than he has been in recent seasons and will need to play an important role for the Power until Ollie Wines returns from his shoulder injury. From what we saw in the pre-season, the scoring in the AFL will increase dramatically when teams do not defend well one-on-one. What the Demons will bring into 2019 will be the ruck dominance of Max Gawn and the clearance ability of Clayton Oliver and Angus Brayshaw. If the midfielders can stream forward with less pressure, they will hit targets, and with good conditions expected, we’re expecting a high-scoring game. 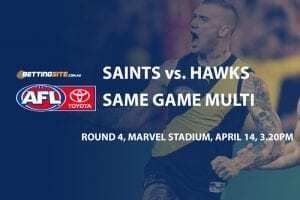 Even though they will not have as many opportunities as Melbourne, you can trust the Power boys to kick more than 10 goals. They managed to kick over 14 goals in JLT game one and 19 goals in the second practice match. With Robbie Gray and Justin Westhoff in the forward line, it’s hard to see them kicking less than 10 majors. Melbourne will blow away the Power early and continue to extend its lead as the day progresses. Port Adelaide will be debuting too many youngsters to compete with the likes of Gawn, Oliver, Viney and Brayshaw. 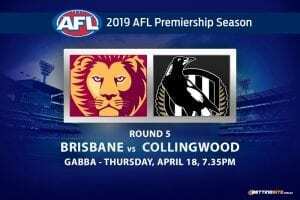 When entering the match with four debutants and with 11 different players from its round 23 team from 2018, Port Adelaide will take to time gel and function. 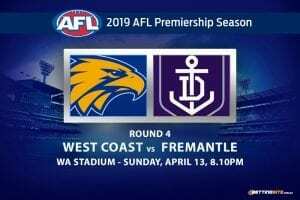 Melbourne has a solid brand of football and will go far into September in 2019.